Cullross Limited and Caledonia Housing Association have submitted a planning application to Dundee City Council to regenerate the former Maxwelltown Works on Alexander Street in the Hilltown area of Dundee. 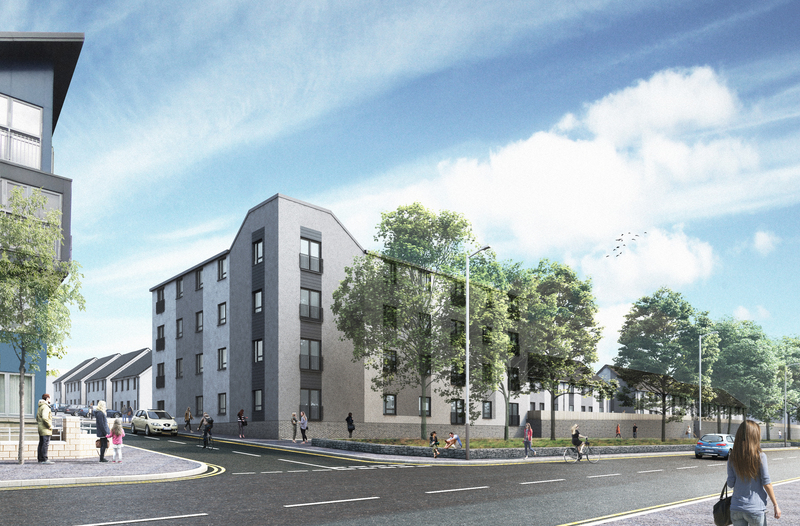 Caledonia and Cullross intend to transform the derelict site with a mixture of rented and low cost homeownership with 1 and 2 bedroom flats and 2, 3 and 4 bedroom homes. The application put forward by JMA Architects has been created after extensive consultations with the local community ensuring the proposed regeneration of the site meets the needs of the community and makes best use of the site and location. In recent years the site has become an eyesore to the local community Cullross and Caledonia hope this proposed development will dramatically transform the site. The submitted plans have been designed to be sympathetic to the site’s industrial past and the surrounding architecture; contributing positively to the ongoing regeneration of the area with similar projects currently under construction on the opposite side of Alexander Street. If successful work is hoped to start on the site in Winter 2018 with the new homes handed over to Caledonia Housing Association by Spring 2020.